I've discussed many facets of commercial aviation, ranging from how airlines set prices to their route networks to safety. But one of the more interesting aspects is the ways in which airlines work together, and why. These range from helping each other's passengers when things go wrong to combining their networks to provide service around the world. The biggest issue is that no one airline can fly everywhere. 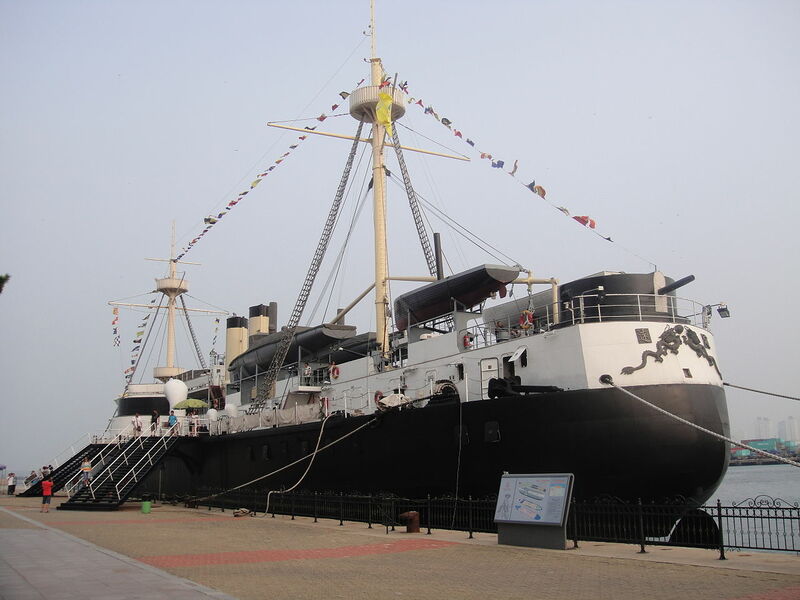 Let's say I want to go to Weihai, China, to see the full-size replica they constructed of the ironclad Dingyuan, one of the ships that fought at Yalu River during the Sino-Japanese War. Obviously, nobody flies direct from Oklahoma City to Weihai, and because it's a fairly minor Chinese city, no American airline even flies there, nor does any international airline fly to OKC. So at some point, I'm going to have to change airlines. This might mean booking multiple tickets, having to schlep my luggage between the baggage claim and the check-in counter, and being in trouble if something goes wrong and I miss a flight. These kind of flights are called codeshares. One airline operates a flight, and allows other airlines to sell seats on it as if it was their own, with their own flight codes. This allows a given airline to pretend to be much bigger than it actually is. Delta could not economically provide service to every medium-sized city in China, nor could KAL fill planes to places like OKC. But by sharing codes, they can offer me the illusion that they do, making it much easier for me to fly between two obscure cities. They'll make sure my luggage gets transferred for me,2 and if one of the flights is delayed, they'll make sure I get where I'm going. Codesharing is most common between airlines from different countries, but can be done domestically. For several years, American and Alaska had a partnership that included a lot of codeshares, allowing Alaska to sell tickets to the parts of the country it had no presence in. American benefited because Alaska loyalists would fly with them when going to those areas. But let's say that I do a lot of business travel on United,3 and I'd really rather fly with them because I have status. They don't have any codeshares to Weihai, so am I out of luck? I go to their website, and discover, wonder of wonders, that I'm not. They will sell me a ticket to WEH, although the flight from Beijing to Weihai is on an Air China flight number. This is known as interlining. Most airlines have interline agreements with each other, which allow them to sell tickets on each other's flights if needed (as is happening here), check a passenger in on such an itinerary once, transfer luggage, and so on. These routes are only visible to the general public in rare cases, such as the one here, and I believe are usually sold via travel agents and other specialized channels. Interlining also allows airlines to place passengers on other carriers during irregular operations. Say I'm flying home on United, and Houston, where I normally would fly through, has been brought to a halt by a winter storm.4 All of the flights from Denver to OKC are already full, so United sticks me on an American flight through Dallas instead. They have plenty of seats, because none of American's hubs have been clobbered. OK, but back to my attempts to get to Weihai, why did United decide to interline me with Air China? 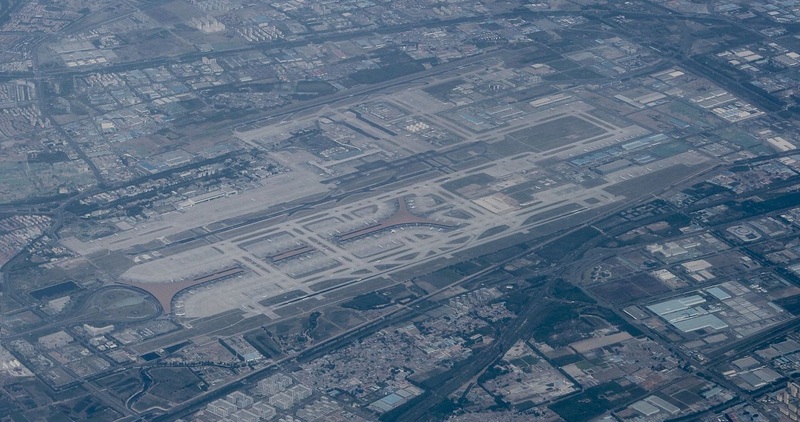 Why not have me fly Shangdong from Beijing, or send me through Shanghai on one of the carriers there? The answer is that Air China and United are partners through the Star Alliance, one of the three big airline alliances, along with oneworld and SkyTeam. Alliances are primarily concerned with frequent flier benefits and status recognition. So I can credit the frequent flier miles from my flight on Air China to United, and get various elite benefits on Air China like priority boarding and lounge access. Codeshares are most often seen between alliance partners. For instance, Delta, KAL and Shanghai Airlines are all members of SkyTeam, and have extensive codeshares with each other. But sometimes members of different alliances codeshare to enhance certain routes. For instance, Air Canada (Star Alliance) codeshares on some Cathay Pacific (oneworld) routes out of Hong Kong. This allows it to draw traffic from Canada seeking to penetrate deeper into Asia onto its flights from Toronto and Vancouver. Likewise, Cathay Pacific codeshares on Air Canada flights from these two cities into smaller markets in Canada, giving added reach to its flights from Hong Kong. The last and closest form of airline cooperation is the joint venture. This is when two airlines essentially agree to work together to give the customer the impression of a single airline flying a route, and are most common on the major international routes between regions (transatlantic, transpacific, US-Australia, etc). These allow airlines to coordinate their schedules to give passengers the best experience, as well as bringing coordination to give customers a consistent onboard experience. Because they also include coordinated pricing and revenue sharing, anti-trust approval is also required, as they essentially remove competitors from the market. Of course, as with most matters related to airlines, there are myriad variations and exceptions on these basic themes. But on the whole, the last 30-40 years have seen great strides in airlines working together to deliver the best experience for their customers. In the old days, I'd have had to book two or three different tickets when I eventually go to visit Dingyuan, wrangling with Chinese airlines that don't have lots of English-speaking customer service reps and having to navigate Chinese airports on my own. Instead, I can book a single ticket with an American airline, and my hair will stay intact. This is the last post I have planned on the subject of commercial aviation, although I wouldn't rule out it returning at some point in the future. It's been a fun series to write, and I certainly hope you've learned something from Neal and me in the process. Maybe even something that will make your next flight a bit better. Enjoy! Perhaps the most interesting code-share is what you get if you book a flight to Brussels from, let's say, Houston. Depending on who you book with, your transatlantic leg might take you to Amsterdam Schiphol or Paris Charles de Gaulle- but from there, your next "flight" may well be a train. The Thalys high-speed train service has an IATA code (2H) and serves stations in Amsterdam and Paris airports- various airlines book seats on this train instead of operating flights between those airports and Brussels. I wonder how status milage is calculated for that... Does it count as a flight? Do 500 mile minimums apply? Could you theoretically get status without ever stepping foot on a plane? Even if they do earn you qualifying miles, I really doubt you could get status only on the train. First, a lot of airlines require that you do at least a bit of travel on them before they’ll give you status. (Basically, they have to pay for the services you use, so in our example above, United would pay Air China $10-20 for my visiting the lounge. Airlines with generous programs want to make sure that random people aren’t just taking advantage of them from halfway around the world. I think Aegean Air was one of these for a while.) Second, there’s no reason for any party to sell the train codeshare apart from a flight. It’s a great deal for everyone to route a passenger from Amsterdam to Brussels by train after they arrive on a 777 from New York. It’s not so good a deal to just sell a normal train ticket with KLM on the top instead of Thalys. Really good discussion of this topic Bean. It can get really confusing for even experienced passengers and you did the topic justice. I am not sure where the balance point is here. On the one hand I like the "one stop shopping" that the alliances offer when booking flights to all four corners of the globe. On the other hand, a bit of leeriness and even, gasp, oversight is in order so that the alliances do not obliterate competition. The costs of entry to the airline game are high and once an airline/alliance drives out the competitors,it is hard to re-seed a vigorous fight for the traveler's custom. The only case where you see a direct assault on competition is with Joint Ventures, which have to get antitrust immunity before they can run. Those are about the only thing discussed above that I'm not entirely in favor of, because the convenience is balanced by the loss of carriers. And I'd really need to do more research on them to figure out at what point the drawbacks start outweighing the benefits. In most other cases, partners don't serve the same markets, and so aren't directly colluding in ways that can raise prices. When airlines working together doesn't work: a British Airways flight operated on behalf of BA by the German airline WDL Aviation mistakenly flew to Edinburgh instead of Dusseldorf.